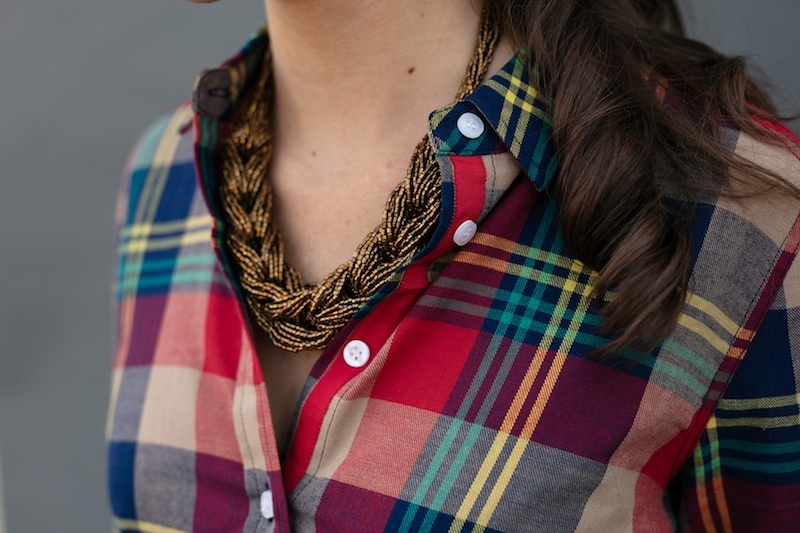 We believe in the simple beauty and magic of a great tartan plaid, which is why we brought it to the Amy Shirt! 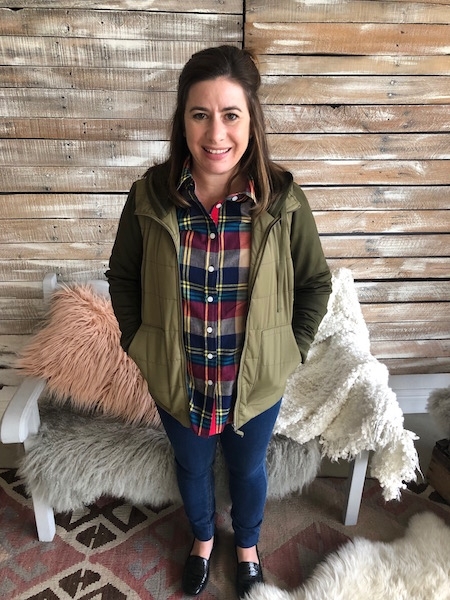 Raise a pint to our classic wardrobe staple; the versatile button-down shirt that is named and styled after the creative heart and soul of Evy’s Tree, our founder and owner, Amy Miraflor. 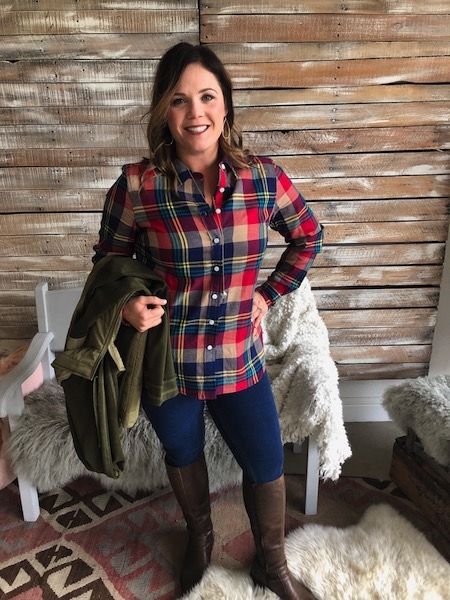 The button-down shirt is Amy’s absolute favorite clothing item, and our Evy’s Tree Amy Shirts are made in a super soft 100% cotton wash, making them practical, convenient, comfortable, and gorgeous for busy ladies. 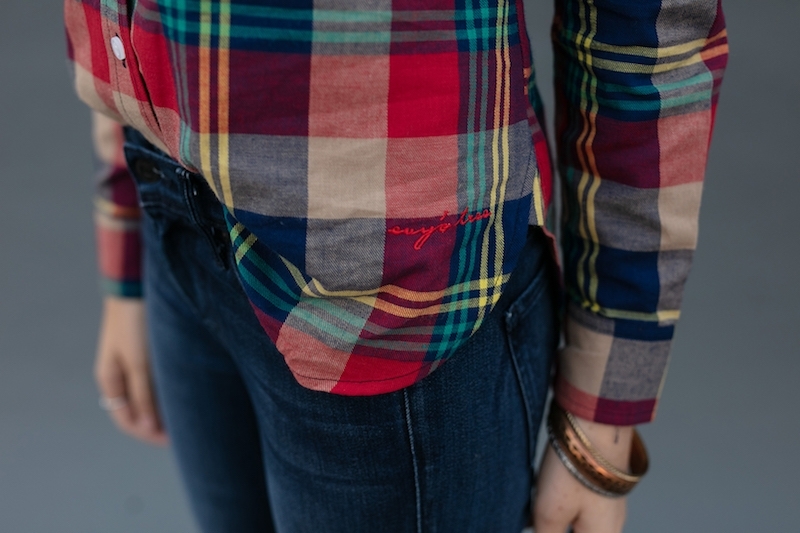 The Amy Shirt features a ribbon back loop and grosgrain ribbon trim down the front. It wouldn’t be complete without the Evy’s Tree monogram on the shirt tail hem. It is a classic design that lends a professional vibe to your outfit, yet contains just enough quirk and fun to bring a smile to your face as you go about your busy day. 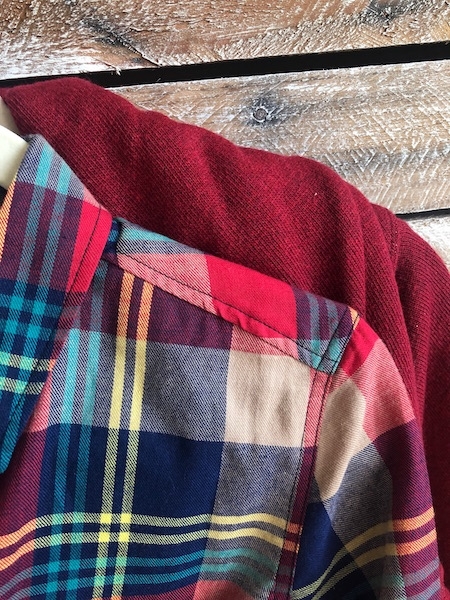 This new plaid version appears in a gorgeous classic tartan fabric that will add a fun rustic vibe to your season, without making it a holiday-only design, With its red and blue base, you can pull this out year-round! Again with the featured embroidered monogram makes, this is a perfect foundation piece for your wardrobe!